There is no doubt that the White House has become more social than it ever has been since Barack Obama was elected president. His campaign team took to Twitter to discuss important topics during his campaign in 2008, and continues to do so in 2012, which is also an election year. The work that his campaign has done in the last four years will have a lasting effect on the White House forever, though. On the 30th, Barack Obama will be answering questions live in a Google+ Hangout. Read that sentence again, crazy right? Tonight’s yearly State of the Union address is President Obama’s most important speech this year, as it will serve as a report card for how he’s done during his first term. Having said that, it will be the most interactive SOTU address the world has ever seen. Here are just a few ways that you can watch the speech live at 9pm ET and interact with the Presidential staff afterwards. YouTube has become a huge part of the Obama administration. His weekly addresses have hundreds of thousands of views, and serve as the perfect archive of his progress to date. 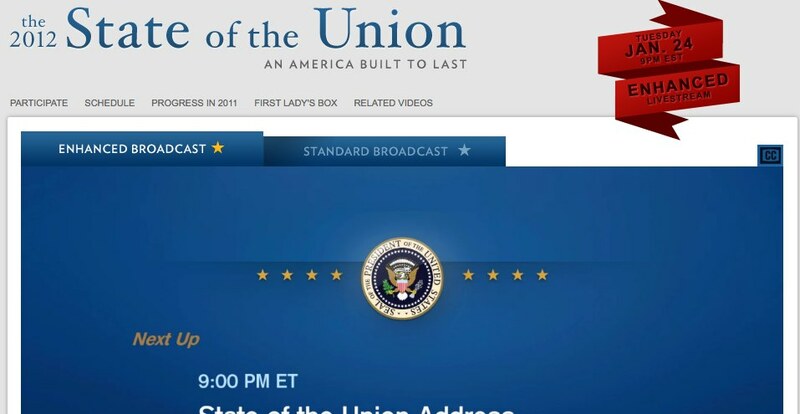 The White House goes so far as to provide the schedule for the SOTU on its site along with a gigantic embed of the YouTube feed that will be switched on at 9pm ET. There is no mention of news channels or television on this page whatsoever, it’s all about the web. The White House also promises a brand new experience with an “Enhanced Version” that will display supporting statistics, graphs, and other information on top of the broadcast. During the SOTU, White House staff will be actively monitoring tweets using the hashtag #SOTU on Twitter. After the speech, the White House promises that that it will be answering questions and interacting with those who are using the hashtag. This type of interaction during such an important event is unheard of, and the democratic process has become more transparent than it’s ever been. You can also drop questions onto the White House Facebook page, but it doesn’t seem to be getting as much push as Twitter is. It will be interesting to watch which questions get responded to on Twitter, because the White House is bound to get inundated with a lot of tweets quickly, and some of them might not be so nice. The Washington Post reports that tweet tracking site Topsy shows that the #SOTU hashtag has been used over 13,000 times as of 2pm today, and the speech hasn’t even started. Needless to say, these won’t be the type of polished questions that the White House is used to fielding from a trained press corp. While YouTube and Twitter seem like commonplace for the White House at this point, one interesting twist was its promise to answer questions on popular geeky Q&A site Quora. According to AllThingsD, White House officials will answer the questions posed to them in the “coming days”, as the site doesn’t have quite the same real-time expectations that Twitter does. It’s also likely that users on Quora will ask more in-depth questions, as they’re not held to using 140 characters like you are on Twitter, either. On a special SOTU page that Quora set up, you can ask your questions starting now, as well as watch the live stream of the speech. It seems like the White House has everyone covered with interactive technology when it comes to asking the questions that they want answered, but it will be interesting to watch the spikes in activity based on what the President is talking about. Those types of stats and graphs will probably be made available tomorrow by Twitter. This will most certainly be the most interactive speech made by a United States President ever, and we’ll all be watching to see how the White House staff handles the explosion of content that comes out of it. 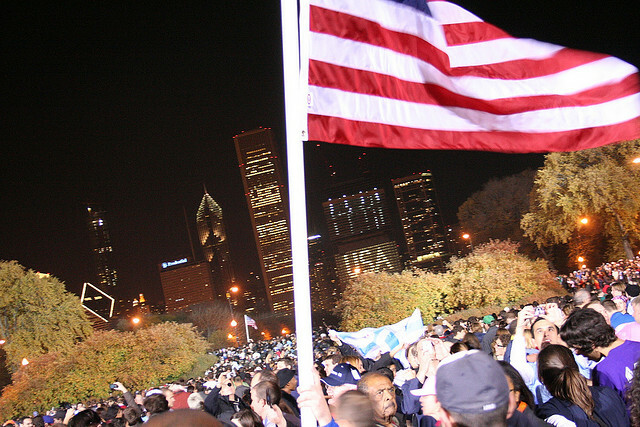 Will you be watching the State of the Union Address tonight? If so, how? Tell us in the comments!